At Orange Mortgage and Finance Brokers, our goal is to have you pay off your primary residence home loan as quickly as possible. There have been recent changes to banks’ policy which restricts interest only loan on primary residence. This has had little effect for Orange clients as the only interest only loans we recommend are for investors. It makes no sense to have an interest only loan for primary residence because you need to think where you are going to live at retirement. Even if you are in your 20s looking to buy your first property and retirement seems a long way away, you are more than likely going to upgrade in your 30s or 40s. In practice, in your lifetime, you need to have at least one property completely paid off by the time you retire. There are some really small things you need to dsosave money on your mortgage to pay it off quicker. We’ve put this one second because it is usually the easiest way to save on your repayments. We’ve had plenty of clients who we’ve refinanced and they saved over 0.24% off their old home loan. This has saved them over $1,200 per year. If you kept the repayments the same as the old home loan, you would save about 2 years and 4 months off the life of the loan and save over $42,000 in interest costs! Most variable rate loans have the option to have an offset account attached to it. We advise all of our clients to make sure they have their pay deposited directly into the offset. 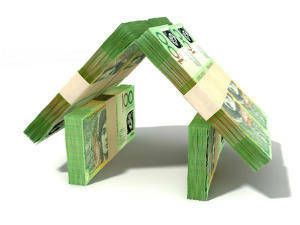 Every day a dollar is in the offset account, you do not have to pay interest on the home loan for that amount. If you assume you have $20,000 sitting in the offset account, you would save 2 years off the life of the loan and over $62,000 in interest. Have you just come into some money? Make a lump sum payment. Some people are lucky enough to get a small windfall for different reasons; you’ve been working hard and received a bonus, you get a birthday present, you win the lottery. If you manage to pay an extra $5,000 in to the home loan the first year, this will save you 9 months off the life of the loan and it will save you $13,000 in interest costs. So the most common scenario for a $500,000 loan is that you refinance, make small extra repayments every month and use your offset account wisely. If you refinance and we manage to save you 0.24%, you put in $200 per month in extra repayments and you have $20,000 in the offset account, you are likely to save 7 years and 9 months off the life of the loan and you would save a whopping $149,000 in interest costs. It’s better this goes in to your pocket rather than the banks and think of what you could buy with $149,000! What could you do with an extra $149,000 at retirement? 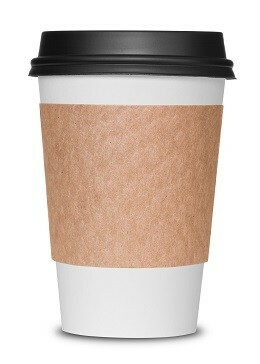 It only takes a couple cups of coffee a day to save you thousands! We make it a point to speak to our clients every 12 months and review their home loan every year to make sure they still have the best loan to suit their needs. Banks are always changing their loan products and pricing and sometimes give extra discounts to win our business. Remember we work for you and not the bank so our job is to make sure we get you the best outcome.